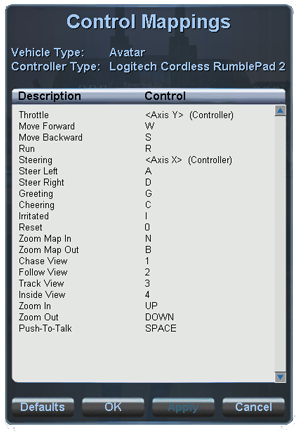 To bring up the Controls Mappings dialog, click on the controls icon located on the right side of the screen. 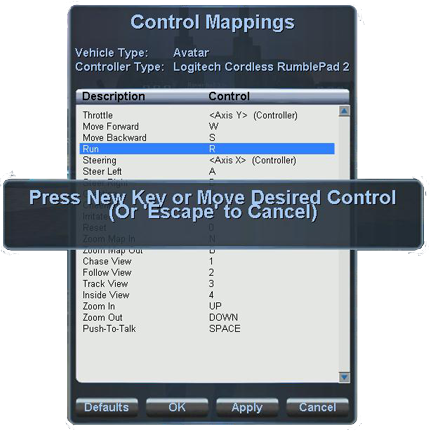 This dialog lists the various actions you can perform with your current vehicle and the control that is assigned to each of these actions. To change the control for an action, you start by double clicking on the control you want to change. This will bring up the message you see in the image on the right. 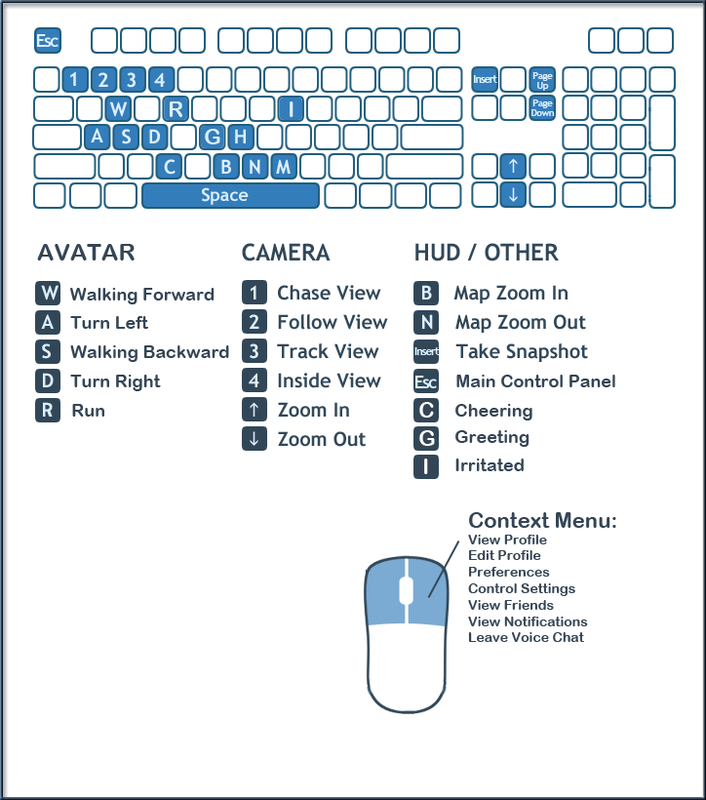 Note that while we do support the keyboard, mouse, and controllers, not every action can be mapped to every control. For instance, greetings cannot be mapped to mouse movement. If at any point you want to clear all of your changes, click on the “Defaults” button to restore the default controls. Once you are finished adjusting your controls, click on the “OK” or “Apply” buttons to apply the changes.